Last year a gaggle of Magnum photographers parachuted into Rochester. This gave we locals a taste of what it is like being an 'urban decay story.' And it created a considerable stir when one of the photographers, Paolo Pellegrin, won a big photo award for a series of images that, politely, reflected an integrity-challenged process on the part of nearly everyone concerned. I won't rehearse the matter again as I posted about it here   and then - thanks to Bob Hariman - participated in a terrific workshop at Northwestern on the various issues the episode raised . A virtual friend (Thanks Stan!) recently brought to my attention this new work* by Swiss photographer Catherine Leutenegger that promises to be a more illuminating, though hardly more uplifting, view of Rochester and its travails. Once I am able to track down a copy I will provide a more informed response. *Catherine Leutenegger. 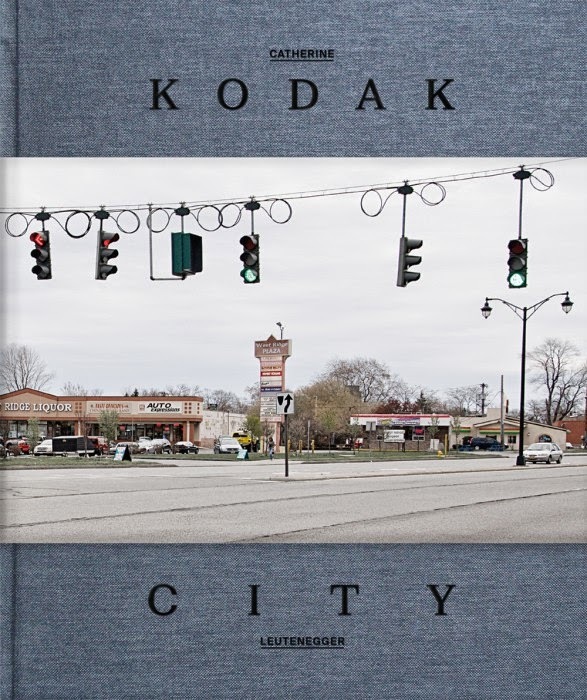 Kodak City. Kehrer Verlag, 2014.